Jefferson’s plan for an international coalition foundered on the shoals of indifference and a belief that it was cheaper to pay the tribute than fight a war. The United States’s relations with the Barbary states continued to revolve around negotiations for ransom of American ships and sailors and the payment of annual tributes or gifts. Even though Secretary of State Jefferson declared to Thomas Barclay, American consul to Morocco, in a May 13, 1791, letter of instructions for a new treaty with Morocco that it is “lastly our determination to prefer war in all cases to tribute under any form, and to any people whatever,” the United States continued to negotiate for cash settlements. In 1795 alone the United States was forced to pay nearly a million dollars in cash, naval stores, and a frigate to ransom 115 sailors from the dey of Algiers. 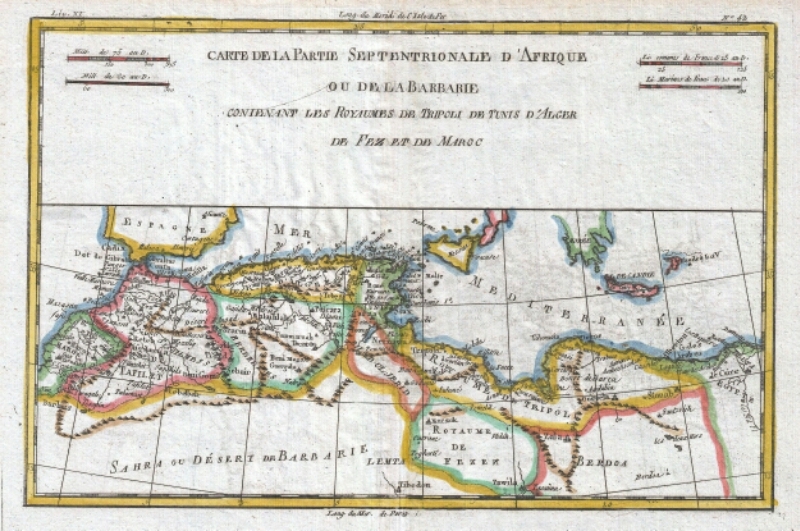 Annual gifts were settled by treaty on Algiers, Morocco, Tunis, and Tripoli. For anyone interested in the further pursuit of information about America’s first unconventional, international war in the primary sources, the Manuscript Division of the Library of Congress holds manuscript collections of many of the American participants, including Thomas Jefferson, George Washington (see the George Washington Papers), William Short, Edward Preble, Thomas Barclay, James Madison, James Simpson, James Leander Cathcart, William Bainbridge, James Barron, John Rodgers, Ralph Izard, and Albert Gallatin.